One large component of VIVA! at Age Well Centre for Life Enrichment is health and wellness programming for both the mind and body. VIVA! offers programs like Tai Chi and yoga, as well as brain games and mental exercises, for the body and mind. Plus VIVA!’s wellness programs, like nutritional counseling and education on disease prevention and self-care, help reduce unwanted side-effects and lead to better living and aging well. Age Well Centre for Life Enrichment takes a holistic and proactive approach to enhancing our residents' lives. Third party care at Age Well Centre for Life Enrichment brings a variety of health care professionals to our community, such as primary care physicians, audiology and podiatry professionals, physical, speech, and occupational therapists, and hospice care providers.  Age Well Centre for Life Enrichment is the place to take an active role in your health and well-being. Contact our office for a tour of exceptional assisted living in Green Bay, WI today. Residents and families can take comfort in knowing that Age Well Centre for Life Enrichment’s VIVA! Plus preferred medication management partner offers industry-leading accuracy rates and inspects all medication orders for contra-indications, interactions, duplications, toxicity, safety and efficacy. Not only is accessing care providers made simple, but the VIVA! Plus team results are outstanding. Working with our trusted healthcare partners, Pathway communities, including Age Well Centre for Life Enrichment, have reduced hospital 30-day re-admissions by an average of one third. Overall hospital admissions are on the decline as are the number of falls and injuries from falls.